An introduction to human ecology, culture and intention. What we don’t see, when we do whatever it takes, is every externality of every decision we make. When we aren’t intentional and we don’t see ourselves as a small part of a whole, we get sloppy. This is the source of all environmental problems. They are unintended, unforeseen and ironic side effects arising from other intentions. We intend on raising cattle for hamburgers but end up destroying the rain forest. Our intention in this now global economy is prosperity and a decent quality of life for as many people as possible. This is something I truly believe in, but also something that I believe is the most difficult problem we will face as a species. We may believe that we can solve this problem with global solutions, but we’ve made that mistake before (i.e. the Green Revolution). These are problems of place, rooted in knowledge of place, derived from patterns that exist in that place – we need to slow down and figure out what they are. (I will go into Slow vs. Fast Knowledge tomorrow). In the process of trying to achieve global prosperity we’ve created problems on a global scale, from climate change to widespread pollution. When we set out to try and solve problems, as designers do, we’re faced with a whole entirely more complex set of analysis to do. We’re not just trying to figure out how to make something physical but we’re trying to remap the way human ecology interacts with our biological systems. This is the biggest challenge designers will face in the 21st century. I believe we all become designers when we become intentional about how we think, what we do and how we create change. From the farmer who designs a resilient waste free closed loop to the architect thinking about grey water systems and capturing lost energy – we can all be good designers if we can listen to people and acknowledge them as experts. So what is ecological design really? Any form of design that minimizes environmentally destructive impacts by integrating itself with living processes…the effective adaptation to and integration with natures processes. It is a synthesis of our intentions with the natural patterns and flow of the world we live in and therefore studying these patterns and flows will help us inform human behavior. 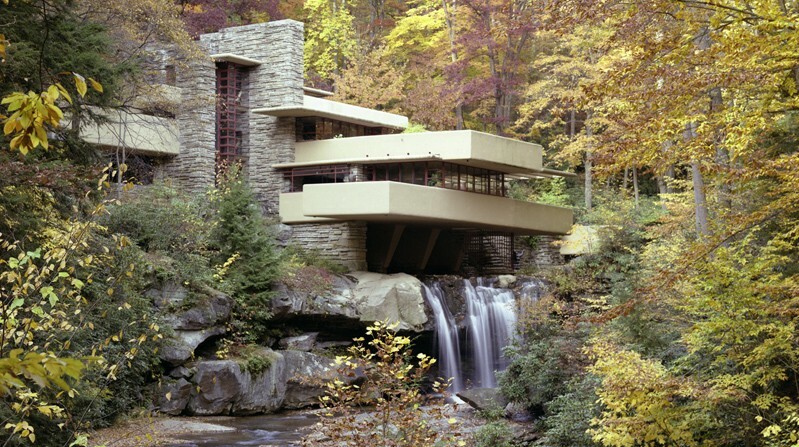 Fallingwater by Frank Lloyd Wright – a masterpiece of ecological design in architecture. As William McDonough put it so elegantly, “intention is the first signal of design,” and in order to make change we must reconcile that our intentions have been driven by a culture of greed, self-preoccupation and mass consumerism. We will need to shift our intentions from our individual actions to our largest institutions. We will all need to cultivate a deeper sense of connection and obligation for our actions. We will never be intelligent enough to understand the full consequences of everything we do, you simply can’t control every outcome of your choices. But you can set an intention to do the most good you can. A real design revolution must foster a transformation of human intentions into ecological results.